The Senate Judiciary continued the effort to allow Vermont courts to prosecute felons in possession of firearms, concessions were made to restrict prosecution to crimes that were felony cases, such as violent crimes and large volume drug dealing, and to prohibit prosecution of non-violent felonies, such as drunk driving and marijuana-related crimes. 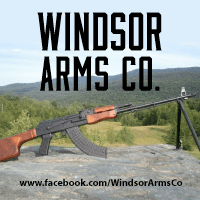 Also included was a provision to research the New Hampshire “Gun Shop Project” methods and strategies on how the system works and report back to the Committee the findings. The Senate Judiciary also changed the original language of S.31’s definition of “firearm” to be in line with the federal definition. This means that “antique” firearms will now be EXEMPT from this new law, as they are in federal statute. The Senate Judiciary also proposed a section that amended Sec. 2. 20 V.S.A. 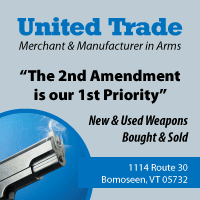 § 2307 to increase the level of “reasonable effort” the FFL or law enforcement agency must go through before selling firearms relinquished under Act 191 (2014 H.735) based on the Vermont Rules of Civil Procedure. Unlike Part 2, this section does not allow for “relief from disability” which would give persons who have gone many years without reoffending the ability to regain their Constitutional rights. The Senate Health and Welfare Committee worked independently for several weeks on the “mental health” section to turn over the name of anyone deemed “need of treatment pursuant to section 4822” to the National Instant Criminal Background Check system (NICS) within 24 hours of the finding. While the term “adjudicated” was used frequently in discussion, it does not appear in the bill, so this may cause confusion. The bill uses “If the Court issues a hospitalization order pursuant to subdivision 7617(b)(1) or (2) of this title or a nonhospitalization order pursuant to subdivision 7617(b)(3)” to explain this. Originally, Senator Ayer was against any public comment, but Senator Sears opened the mental health proposal to public comment and both Gun Owners of Vermont and the Vermont Federation of Sportsmen’s Clubs spoke against this section. While the Senate Health and Welfare Committee worked on this proposal for weeks, the actual number of persons the court has issued an “order” for hospitalization in Vermont was NOT EVEN KNOWN by the Committee writing this proposal! The total number of persons in Vermont who are in “custody of the state” is 260. How many of these people actually present a danger to themselves or others with firearms is still unclear. Senators Benning, Sears and Nitka successfully voted to remove that unreasonable restriction from the current bill. 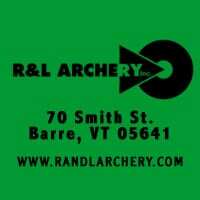 The Gun Owners of Vermont remains opposed to this bill, but does appreciate the work by Senate Judiciary to narrow the field of persons affected by this bill and protect the Constitutional rights of Vermonters who are not a danger to the public. This entry was posted in bills, News and tagged committee, Gun control, judiciary, Montpelier, New Gun Bill, S.141, S.31, senate. Bookmark the permalink.